Although technology has enabled an entirely new kind of workforce, today’s freelancers are technologically behind the curve in using technology to save or invest — especially for retirement. 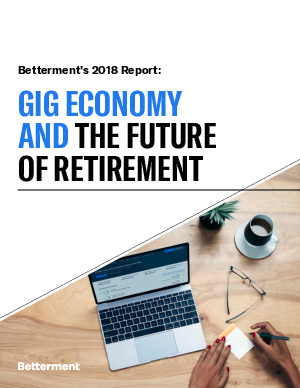 It’s a fact that could have huge impacts on employers as more full-time employees join the gig economy to supplement their income. Consider this: More than twice as many workers in the gig economy — including those doing it on the side — are saving in cash rather than with the help of an automated tool, according to this new report from Betterment. Employers can help all of their employees — and benefit their companies — by supporting them to leverage technology for retirement planning the way they use it in the rest of their lives.